I didn’t find any of the records that I had been looking for on film and did not find what I was looking for in the books that I was pouring through, but I did find out that there were certain reference books that I could check out and take home and I was pretty happy about that. I am always amazed when people ask me when I’m going to be done with the family history (and I get that a lot). I am equally amazed when people say that they found all of their family information at Ancestry.com because, of course, we all know that it’s not as easy as that. 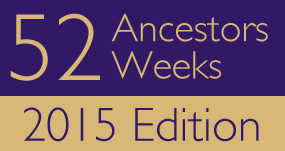 The wonderful thing about Amy Johnson Crow with her 2015 version of the 52 Ancestors 52 Weeks Challenge is that she has provided optional themes for each week. When I first thought about accepting the challenge, I figured that this would force me to focus on some of those “brick walls” that I had been ignoring. They’re brick walls for a reason; either because there is very little information to be found because of the date, area, and record-keeping, because you’re dealing with a very common name, or because you’re dealing with a woman. 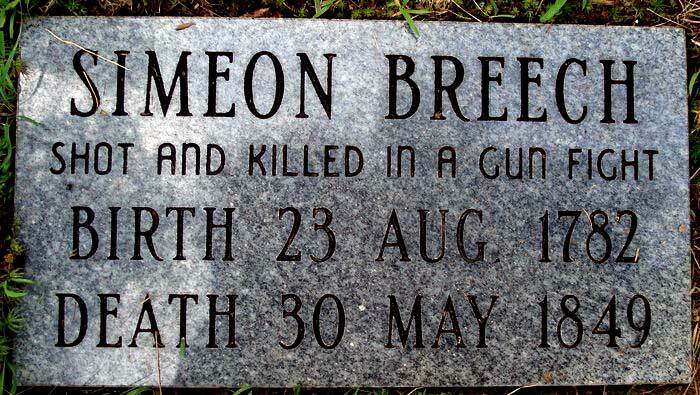 How many times have you been cemetery stomping and ran across a stone that said “Wife of…” and the man’s name? A lot, I bet. No mention of the woman’s name. I moved on next to John GRAY, born about 1784, suspected son of Abraham GRAY. 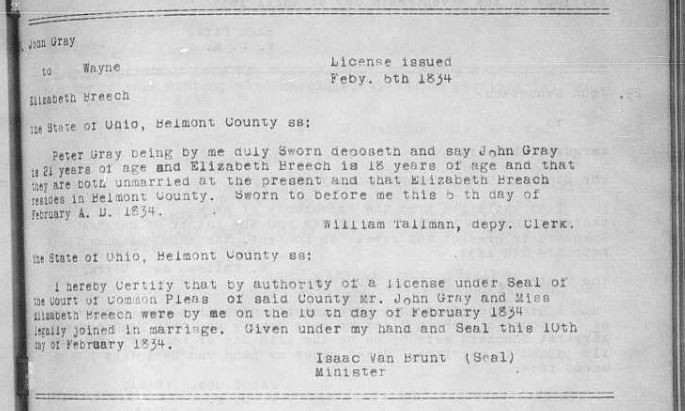 What I do know about John GRAY is that he married Elizabeth BREECH on 10 February 1834 in Belmont County, Ohio. 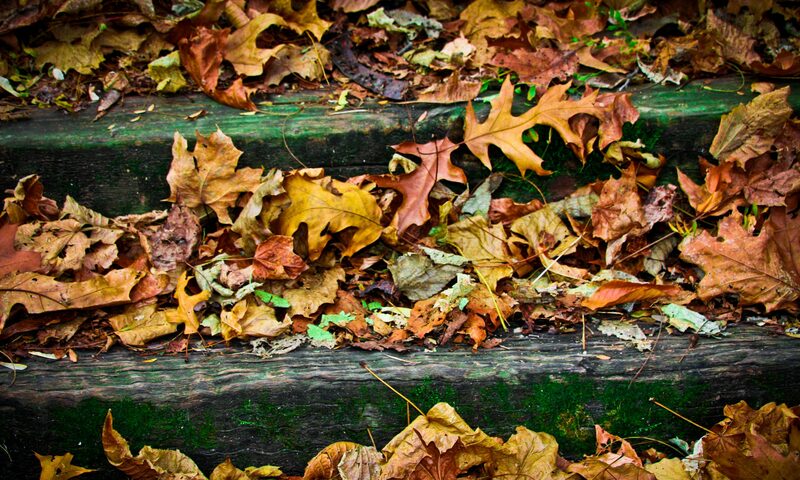 What I also know, is that I have found him and Elizabeth on the 1850 Belmont County, Ohio census and on the 1860 Noble County, Ohio census. It’s not clear to me if they actually moved to Noble County or if the change is due to county boundaries being changed between Belmont and Noble counties because I realized that a lot of people with trees on Ancestry’s site, had John’s death date as 29 March 1868, which is most certainly not correct. That death date does belong to one John GRAY, but not “my” John GRAY. The 1868 death date belongs to John GRAY, the last living Revolutionary War veteran – who also happened to live in Noble County, Ohio, but not Stock Township. This information cause me to spend a good amount of time reading about this Revolutionary War veteran because there is a huge amount of information available about him online, including old texts, and photographs! Secretly, I was hoping to find some kind of a connection through this John GRAY to my John GRAY. Was he Abraham’s brother? Probably not since he was born in Virginia, but quite possible considering the amount of movement of families going on during that time frame. I spent a considerable amount of time reading about the early settling of Ohio and, in particular, the early histories of Belmont, Monroe, and Noble counties in Ohio. I also went back and had a closer look at my DNA results with Ancestry because I remembered that one of my “circles” was connected to Elizabeth BREECH. Not yielding any new conclusions, I went to a different part of my tree on my mother’s side. Her sister had married into a KING family that were fairly early settlers in Carroll County, Ohio. The earliest known KING ancestor that I had listed in this county was a Nathan KING, born about 1788 in Virginia. I did a quick check of names, trying to find a naming pattern that might indicate that Nathan may have had a sister named Rebecca or Jane – but I will admit that this was just grasping at straws. You never can tell,though, when families meet up and separate while following migration paths. Reluctantly, I went back to my entry for Rebecca Jane KING and marked an asterisk in front of her name. In my mind, she probably does not belong attached to my tree, but because I cannot remember where this information came from, I’ll leave it in with the asterisk. Brick walls that have been there for years probably are not going to come tumbling down within a week of researching, but it did feel good to tackle one without veering too much off of the path. I have a habit of getting lost in the history of a place rather than just tracking down names and dates and plugging them into my tree. For me, knowing the history is what keeps me interested. There have been many times while visiting an old, obscure cemetery where kin are buried that I have just stood back and recalling what I know of the history of the place, have tried to imagine what those ancestors felt and how they lived, and how their own experiences may have helped to form who I am today. So…why am I not “done yet”? These are some of the many things why.